View this report in PDF here. Over the years we have found out a lot of things about how children learn mathematics and more, but the one thing we have not consistently found is just what a child cannot learn in some way. Whether it is playing with and learning about infinity and limit, abstracting number patterns to find the nth term, or in our current case, modelling civilization mathematically with code, even our youngest students are capable of incredible feats of thinking and learning. Some of the math and modelling activities that they are going to choose from are available at http://eduapps.ca/civilization/). 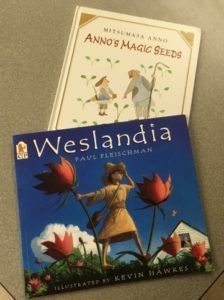 These activities are linked to both of the books they will have read. 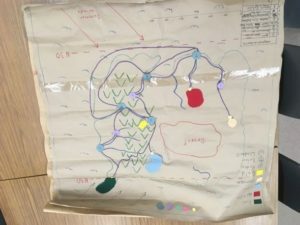 Importantly for the students, they will use the Use-Edit-Create cycle of learning to code to explore how to make mathematical models which will allow them to experiment with the parameters which affect a civilization’s growth and change. 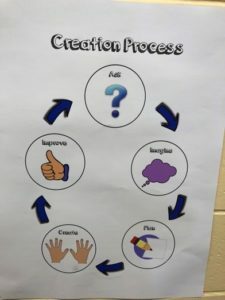 Grade 3s are a curious and creative bunch, so giving them the opportunity to learn while innovating and creating in a maker space harnesses the best of what the students are able to do to learning how the iterative creative process works. Here they are going to be adapting some of the activities linked to Weslandia that are available at http://janettehughes.ca/lab/make-me/. One of the activities that Ms. Silver is really excited about is a making activity where her students will adapt robots like Sphero to powering a vehicle or add-on that could help Wesley with his harvest. As a final activity, the grade 3 students are going to be modelling their own civilization in a game-like setting using an idea from St. Andrews’ amazing librarian, Mr. Withrow. This role play simulation will allow the students to use all of the knowledge they have learned in order to make their civilization successful. This is shaping up to be an exciting, integrated unit of learning that will delight not only the students, but their teachers and parents, too. The MKN is funded by the Ontario Ministry of Education. The MKN is a KNAER project, hosted by the Centre for Mathematics Education at the Fields Institute for Research in Mathematical Sciences. The views expressed on this website belong to the authors and do not necessarily reflect the opinions of the Ministry of Education nor the Ontario government.